A recent ruling by the Third District Court of Appeal reinforced the message that the courts are sending to unit owners who attempt to derail the collections efforts of their community associations with strategic counterclaims and legal maneuvers. 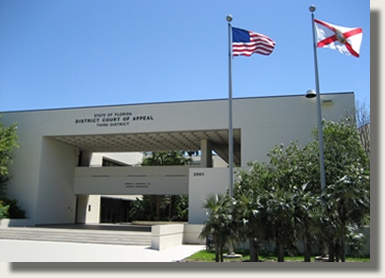 The appellate panel upheld the Miami-Dade Circuit Court judge’s decision in favor of the condominium association in a case in which the unit owner who failed to pay a special assessment brought a counterclaim for breach of fiduciary duty against the association. The condominium association in the case, 21/22 Condominium Association, Inc. received a summary judgment of foreclosure against Coral Way Condominium Investments, Inc., which owned six units in the property and failed to pay its share of a special assessment for flood damage and air conditioning repairs. Coral Way had responded by filing its own counterclaim for breach of fiduciary duty against the association, arguing that the special assessment was invalid and would not have been necessary were it not for the association’s alleged breach. The appellate panel upheld the lower court’s decision, noting that the allegations of breach of fiduciary duty are not a valid defense or avoidance to payment of the assessment. The court concluded that any success on its claim for breach of fiduciary duty would entitle Coral Way for reimbursement of its dues that were paid toward the purported improper expenditures, but it would remain responsible for the payment of the special assessment. This and other similar rulings by the Florida courts are enabling community associations in the state to prevail in their collections efforts against owners who attempt to avoid paying their fair share by using strategic legal tactics and counterclaims. These court decisions are effectively deterring unit owners and the attorneys who represent them from using these questionable legal tactics against the associations, and their overall effect will continue to benefit the associations which are struggling to maintain their financial stability.